I have listed Hizon's Mocha Cake (Php60 per slice) as one of my top ten most favorite cakes of all time and one taste will make you understand why. It's a no-nonsense cake. No frills, no spectacular trappings or complex pretenses. It's simply one of those rare cakes that just "got it right". 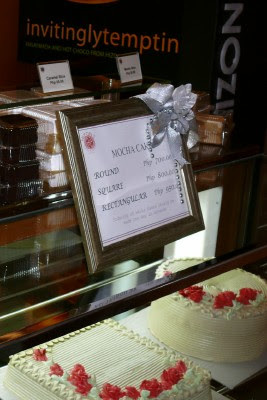 The mocha flavored cake is light and soft. The frosting is creamy with just the right sweetness. 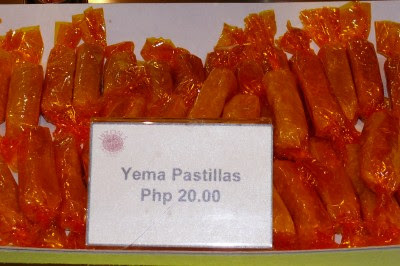 The center is a rich custard which tastes a lot like their famous yemas. Overall a wonderful combination of flavors and textures. I was introduced to Hizon's Mocha Cake by one of my "bosses" at work during my "real" boss's (long story) birthday party last January at the Emerald Garden restaurant (in front of the US Embassy, Roxas Blvd.). He usually gave that cake to his friends on their birthday. I guess it's one of those cakes that the entire family loves and generations more will love. Like an heirloom, albeit edible. While that birthday party may be the first time I've tasted their mocha cake, I am no stranger to Hizon's other delightful baked goodies. They used to have a stall at Food Choices in Alabang Town Center where I used to get my egg roll fix. These are marvelous little pastries, soft to the touch and yet dense with the rich flavors of milk, eggs, and sugar. 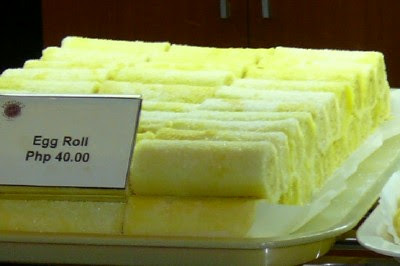 I loved their egg roll (Php40) long before the cake. 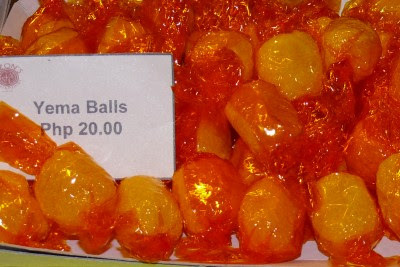 Ever the sweet tooth, my sister, on the other hand loves their yummy yema balls (Php20). 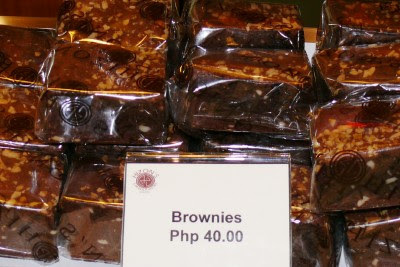 Below are some pictures of other goodies being offered by Hizon's cakes and pastries. All photos are taken by Robin (Thank you!) at Hizon's Greenhills branch, luckily as soon as they opened for the day so that their showcases are still full. Thanks to the gracious staff as well who let us photograph these wonderful treats. those cakes look yummy! 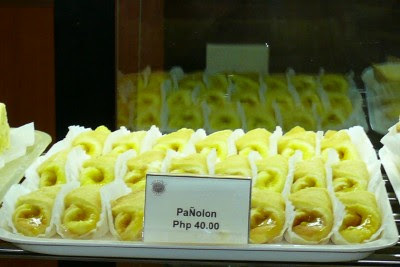 parang may nakikita kong stall in Landmark grocery (makati) selling Hizon's cakes? YOU SHOULD VISIT HOZON'S LOCATED AT J. BOCOBO ST. MUST TRY THERE ARE MOCHA CAKE, TAISAN, BRAZO DE MERCEDES. YOU SHOULD ALSO TRY PALABOK AND LUMPIAN UBOD...YUMMMMY!!!!! It may be expensive but the experience is all worth it. glad that you appreciate the cake of our family.. the family of my lola mila own's the shop and the store manager of the main branch in malate is my tita.. its great that you all enjoy..hizon's cake..
i grew up with hizon's. the whole family loves hizon's. i remember going to the bocobo shop when i was a kid choosing my birthday cake and figurines that would go on top of the cake. i love the egg roll. i would always get one along with the best empanaditas ever. i am now 37 and still we go there for all our special events.